Details: Quality. 6.5 oz 100% pre-shrunk ringspun cotton pique knit. Maiden of Ireland embroidery on forest green polo shirt. 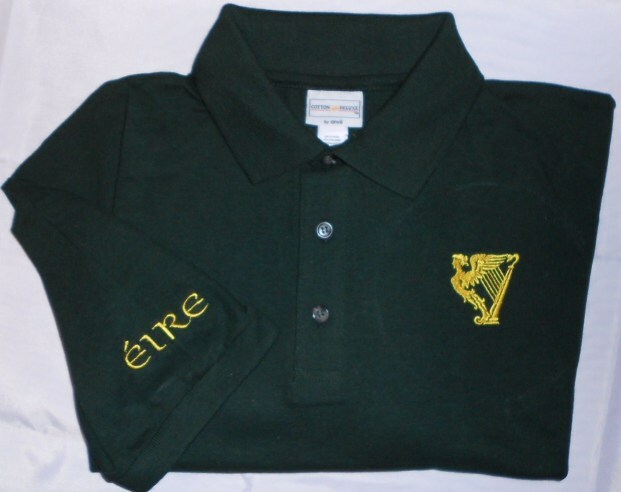 Includes "Eire" sleeve embroidery.